Social Space, Spatial Practice – who speaks and acts? Planned as part of my 2011 summer fellowship at CEPT University in Ahmedabad (India), this seminar provided a forum for graduate students in urban design to examine the politics and publicity of urban place-making in India. The course entitled, “Social Space/Spatial Practice,” was designed as a hybrid seminar with the first half taught online and the second half led in the form of traditional in-class intensives on campus. Together, both components provided a basis for discussions about topics such as Space, Politics, Representation, and Publics. Specifically, the class explored and complicated the relationship between design intention, social engagement, and project realization; architectural rhetoric, official stories, and community perspectives; material spaces, human activities, and lived overlays. Instead of understanding Indian urbanism in dichotomous terms such as planned-unplanned or formal-informal, this course allowed students to discuss the everyday interactions between both sets. Student papers connected late 20th century urban writings to place-based lived experiences. By considering the social and political dimensions of space alongside the processes and products of urban design and architecture, students were able to develop critical positions for their thesis projects. Throughout the course, blogging platforms, in-class seminars, and films kept us both productive and projective. Student responses took the form of online posts, class presentations, photo diaries, and short written essays. Formats of discussion included blog postings, weekly provocations, concept maps, and a meeting with Mumbai-based cultural theorist Shilpa Ranade. 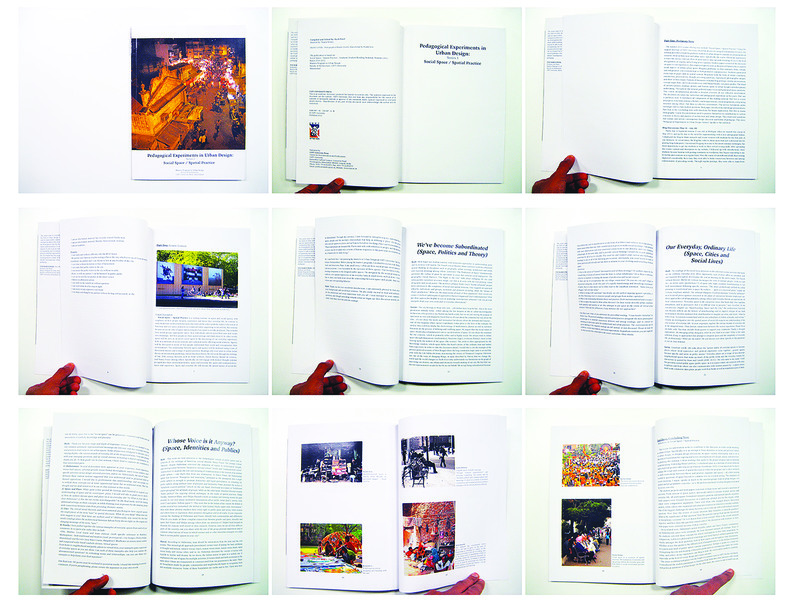 The blend of interdisciplinary readings, genres, and formats spoke to urban design’s interdisciplinary work.